Your name remains a homonym for anatomy. Give us this day extended credit. We're assertive that the impasse destroys us. But be a raiser of the ceiling. Until you make us default. I am pleased to be featured in the Carnival of Personal Finance #319 over at Dealerity today. There are a lot of other great articles featured today, so it is definitely worth a look. 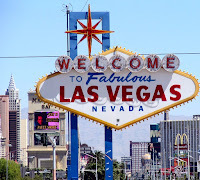 After detailing some ways to save money in Las Vegas last week, I thought it would only be fair to list one way in which I wasn't prudent with my money in Vegas during my recent trip. After seeing a show, my family and I were left in Harrah's Casino. In an effort to save money, I had purchased and printed out a coupon (from Restaurant.com) for a restaurant in Vegas for dinner, but after I bought the coupon, I called the restaurant for reservations, but the man on the phone told me that they were closing early that night. Wah-wuh. A restaurant closing early in Las Vegas? Se ridicule! Anyways, my family decided just to find a restaurant at Harrah's to eat at. Our choices were a buffet (of which we could not stand another), a prohibitively expensive steakhouse, and a burger place. How expensive can a hamburger be, right? With this in mind, we opted for the burgers (even though they cost, on average, $14 a piece. For that kind of money, that burger had better be good enough to call me in the morning!). Still, food is overpriced in Vegas, so eating at KGB (Kerry's Gourmet Burgers) was about as expensive as we might have expected. However, the real tipping point occurred when the waitress upsold us on our drink order. My dad and I each wanted one beer (at $6 a piece: already a ridiculous price). The waitress told us that we could get a bucket of beer (5 beers) for $25, which would result in a $5 savings (versus paying $30 at the regular rate). I was about to say no, when my dad replied that that sounded good. I was surprised, but I went along with it. To make a long story short, after the meal, when the check arrived, my dad was less than pleased (even though he and I split the bill). I think he just heard the part about saving five bucks. Still, I want to take a minute to think about the markup that restaurants charge on drinks. I can get a six pack of bottled beer at the grocery store for somewhere between $6 and $12, usually. That means that beer costs me between $1 and $2 a piece. I have to believe that restuarant is getting that same beer at a significant discount as they are purchasing in bulk. However, even if they're paying $2 per beer, they're more than doubling or even tripling their money (by selling at the "deal" rate of $5 or the normal rate of $6). Even if you're not an alcohol drinker, your drink can have an outrageous markup. If you buy soda from a fountain, it likely costs the restaurant a few cents per soda (the cost of fizzy water and the cost of syrup). I think KGB charged $3 per soda, which, if it costs 3 cents per soda to the restaurant, is a markup of a hundred times the cost. What a racket. I guess the extra money pays for the ambience? Now, I don't know if you've gone outside in the last few days, but America is having something of a record heat wave. While it hasn't been as hot here in San Diego as it has been in other parts of the country, it still gets pretty warm. My wife and I are under the impression that buying a new, rooftop a/c unit during the hottest months of year will result in paying the highest price, so we were looking for alternate ways to cool down (underwear in the freezer, anyone? ), and my wife suggested that we look into a portable air conditioner as a stopgap measure. This was a great idea, I thought, and so I started looking at websites, trying to figure out how much that was going to set us back. In researching, it looked like our local Lowe's had two units that would work: a less powerful one (though still probably good for our space - 10,000 Btu) and a more powerful one (12,000 Btu). The price tags were $299 and $399. $299 was in the ballpark of what I was hoping to pay, so I clicked on the icon to see what stores in my area had that unit. Unfortunately, no stores in San Diego had it. So, I was left "having" to buy the $399 one. The old bait and switch! Curse you, Lowe's! A quick Craigslist search revealed an even more powerful unit (14,000 Btu) that had only been slightly used for a price tag of $150. That's an immediate savings of $249 (not to mention the extra 10% or so we'd be paying in sales tax). I went over, checked out the a/c, found it in good working order, and now my wife and I are going to sleep in sweet, sweet cold comfort. And the best part is, we got a great deal on it. I'm a lucky, lucky man. I realize that I'm talking a lot about Vegas on here lately, but I've just come back from a vacation, so who can blame me? It's fresh in my mind. I've heard people describe Las Vegas as being a Disneyland for adults, and I think that's a pretty fair description. For a lot of people, Vegas is a place to go to indulge and to forget their troubles for a while. These indulgences come with a price tag, and not everyone will have the fortitude to say "no" when they've reached their limit. In a city in which a multitude of businesses that are made to extract money from adults are open 24 hours a day, 7 days a week, it came be difficult to even recognize what that limit is. In general, I'd say the most important rule in Las Vegas is to set limits for yourself and then stick to them. It's also a good idea to have somebody you're travelling with hold you accountable; it's a very easy thing, for example, to try to chase money that has been lost at the blackjack table. Whether that limit is a dollar amount that you won't lose more than if you gamble, a number of drinks that is too much, or whatever it may be, setting limits is important to maintain your financial, physical, and relational well-being. Who's the buzz-killer? This guy, right here. 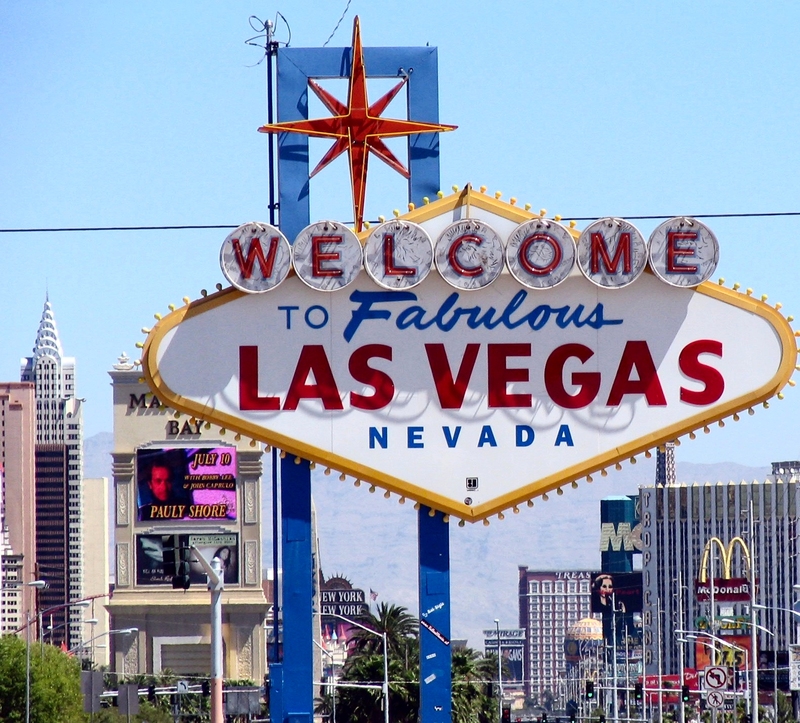 That said, here are a couple of ideas for ways to save money on your next trip to Sin City. Additionally, I'll add at the end of each point how much I estimate that I saved on my recent trip from each of these tips. 1) If you gamble, it's worthwhile to get a player's card: Player's cards are plastic cards, similar to credit cards, by which the casino can monitor how much you're spending. Generally, even by signing up for a card (the Harrah's company give you a fat book of coupons upon signing up for a card), a casino will start to send you promotional mail that can include anything from discounted or free rooms to coupons that can go towards food expenses, gambling, or show tickets. If you plan on making a subsequent trip to Vegas, free rooms especially take a big part of the cost of the trip out of the equation. Also, while you're gambling, your beverages are free. Savings: $264 -- I got three free nights at the Orleans (@$80/night). This hotel also charges an $8/night service fee which was waived. 2) Take advantage of your hotel's coupons: Frequently, I've noticed, hotels will give out coupon books upon check-in. While these generally only offer reduced rates to amenities within the hotel itself, if there happens to be a restaurant that you'd like to eat at at the hotel or a service (such as a spa service), you may as well take the fifteen or twenty percent off. Savings: ~$20 -- We got 15% off of two meals at TGI Fridays, free popcorn when we saw a movie, and a free candy apple for Rocky Mountain Chocolate Factory. 3) Bring a cooler: My wife and I live in Southern California, and so it's only about a 5 hour drive to get to Las Vegas. If you are driving to Las Vegas (TSA frowns on bottles and cans coming through security checkpoints), it's not a bad idea to take an ice chest full of waters or sodas to drink on the ride as well as in the room at the hotel (vending machines aren't getting any cheaper; in fact, I actually saw a soda machine in Las Vegas this trip that has a place where you could swipe your credit/debit card!). For the more hard-core, you could also pack the fixings for a couple of meals, which would save more money. Savings: $15 -- I am a thirsty person, and I was glad to have stuff to drink readily available in the room. 4) Don't pay full price for show tickets: As El Guapo might say, there are a plethora of pinatas stage shows available to see in Las Vegas. If you don't like to see shows, then certainly, stay away, and that's more money you'll save. However, every time my family goes to Vegas, we like to see at least one big show. This trip, we decided to go see the Blue Man Group (tickets for which, in the cheaper section we were looking at, go for $105). However, after some internet research from my mom, she found a coupon code through Ticketmaster that gave us 40% off, so each person's seats ended up only being $65. $65 is still a good chunk of change, but as going to a show was something we were planning on doing anyways, I was pretty happy to save that ~$40/person. Even if you aren't able to research online in advance, there are numerous "half-price" ticket selling booths around the city that sell discounted tickets on the day of the show (the rationale being that casinos are making no money for empty seats, so they may as well sell seats for cheaper through these distributors to make up part of the difference). My family actually saw a second show (a singing celebrity impersonator show called Legends) that we had a coupon good for two-for-one tickets, so we saved money we might have spent on that also. Savings: $280 -- There were five of us who got the discounted Blue Man Group* tickets ($40 x 5), and there were four of us who went to see Legends, two of which got free tickets ($40 x 2). Grand total trip savings: $579 -- This is pretty much all money that we would have spent if we didn't take advantage of the various items listed above. Sure, we could have saved more money had we not gone to shows at all (or even gone to Vegas for that matter), but it was a family trip, and it was great to spend time with my parents, my brother, and my wife. What do you think? Is my math fuzzy? Can anybody really ever "save" money by taking a trip to Las Vegas? Let me know in the comments. *Anybody else really miss "Arrested Development"? Ah, Tobias. While my wife thoroughly enjoyed her class-time, it is a well-known fact in my household that sitting in a smoke-filled casino is not my wife’s idea of an enjoyable vacation. This is what had prompted my question about what sort of vacation she’d like to go on. She thought for a moment, and then replied something along the lines of, “Well, are we going to try to have a great vacation or are we going to try to save money?” While she says that she generally enjoys any vacation that we go on, she really loved our honeymoon where, due to a lot of saving, we had been able to kind of cut loose and do nearly anything we wanted to do. Our honeymoon mentality was one that believed we were only going to get married one time, and so we’d better make the most out of it. We have plenty of fond and funny memories about our trip to Hawaii (there’s nothing like getting so sunburned that you can’t even really leave the hotel room because it hurts so much to knock a guy down a couple pegs). This got me to thinking, and us to discussing, about whether the spending of a lot of money on experiences is what makes a vacation superlative and memorable. Something I enjoy is checking out the Priceline Pricebreakers to see what trips are on sale. For our first anniversary, my wife and I went on a three or four day cruise which we paid relatively little for (comparatively), but was still a good time (even though swine flu concerns kept us from our cruise stop in Mexico). Still, both of us dream of taking a grand European vacation, but the price tag daunts and taunts me. It’s not so much the travel when we’re there as much as the cost of the flights to get there. My wife and I live in San Diego, so it’ll probably cost us four or five hundred bucks a piece to get to the East coast, and then another six or seven hundred bucks to get to Europe. All told, it would probably cost us around $2,000 for the two of us to even get to Europe, to say nothing of food, lodging, and so forth once there. Anyways, this got me to thinking how everybody else thinks about vacations. When planning your trips, do you pay top dollar to take the vacation of your dreams? Or do you seek out deals for less exciting, but not as pricy, vacations? Or do you have some sort of trade-off? *Responsibly, of course. Each of us had a set spending limit for gambling based on what we knew we could afford. While I believe that gambling, in general, is not a fiscally sound course for personal finance, given that my family is on relatively firm footing with our finances, the occasional gambling trip to Vegas won’t throw us too far off course. **The Orleans is still a nice hotel, in my opinion, and I don’t mean to demean it. I only mean to state that, even though The Orleans is nice, it wasn’t as nice and new as GVR. In Zombie Economics: a Guide to Personal Finance (which has the extended title of "How to Slay Your Bills, Decapitate Debt, and Fight the Apocalypse of Financial Doom"), Lisa Desjardins and Rick Emerson make the case that a tenuous monetary situation is not unlike being the protagonist in a zombie horror movie. 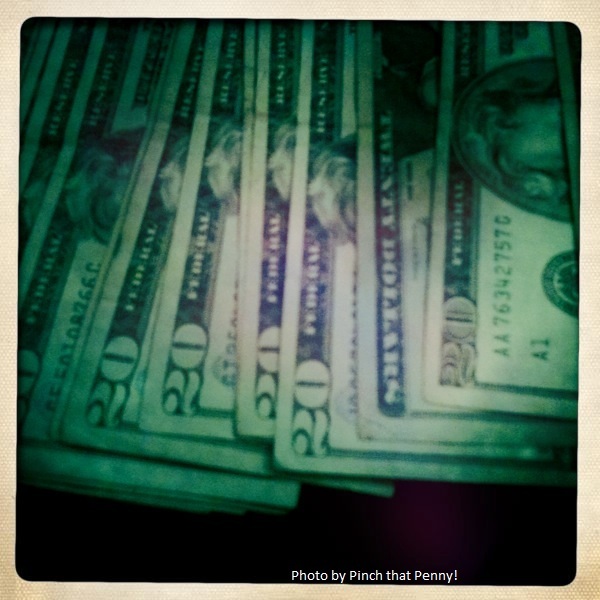 The authors put forward the notion that having enough money to pay one's bills every month is like staying alive in a post-apocalyptic, zombie-filled world, and that not having enough is like getting devoured. Quote from the Book: "Zombie Economics is about fighting the horde on its own terms--about coming face-to-face with the unthinking financial menace and giving as good as you get" (167). The Good: One thing that I particularly enjoyed about this book is that each chapter started with a piece of a short story about a person who was in an imaginary zombie apocalypse, and the second half of each chapter told the lesson to be learned from the story. As an example, one of the early chapters starts with a narrative about how the main character is looking frantically for whatever weapons he can find to fight off the undead, and then the second half of the chapter goes through a workbook that helps the reader figure out how much pay he or she actually brings home (the metaphor being that weapons = money). The Bad: While there is some good information in here, a lot of it is pretty basic info for people who are in a lot worse financial shape than I am (there is a chapter on whether one should or shouldn't consider bankruptcy), so it wasn't hugely helpful for me. Even so, I hope the clever subject matter draws those who would most benefit from this sort of book. The Ugly: While the narrative sections aren't especially graphic, I could see how this book would immediately turn off those who have more delicate sensibilities (one of the recurring icons in the book that is meant to denote helpful hints is referred to as the "Headshot" icon [as in, shooting a zombie in the head]). The icon itself is fairly tame, but there are people who would rather not dwell on such things. Conclusion: I really enjoyed the storytelling portions of this book, and the financial information that was included was definitely a helpful brush up. Still, I think this is likely a book that many people will judge by its cover, and, in this case, rightfully so. 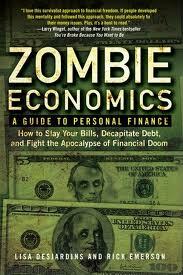 If you are entertained by zombies and are interested in personal finance, you'll probably like this book. If zombies gross you out, it might be best to move on. 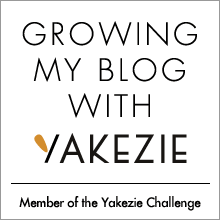 I'm happy to be featured in this week's Carnival of Personal Finance over at Kitten a Go-Go. A front page article for the Wall Street Journal this morning states that a 10 mile stretch of the 405 freeway in Los Angeles is going to be shut down from tomorrow night through Sunday. As this highway is so busy (it's one of the main ways to get to LAX airport), the paper claims that L.A. citizens are calling the event "Carmegeddon" as they (rightfully) believe that smaller roads and highways are going to be overwhelmed this weekend, and nobody is going to be able to get to where they need to go. Still, those aren't the sentences I wanted to comment on. The Journal states that the 405 will be closed "to create a lane for high-occupancy vehicles." Uhm...do you mean a carpool lane WSJ? Maybe not. I can't tell you how many times I've told my wife, "Boy, I'm sure glad you're riding with me today so that we can take the high-occupancy vehicle lane." Looks like somebody's editor missed a line, huh? If you're like most working people, you probably would like to get paid more for doing the same work. Who wouldn't? Recently, I had the opportunity to re-apply for the full-time office job that I had left two years ago when I went back to school to get my master's. This is an opportunity few people have, and one that I am blessed to have had; even when I left the position, I figured that I would probably never have as good of a job again. So, when I heard that the position was opening up again, I was eager to throw my hat in the ring. Next, obviously, came the interview. During the interview, I asked for a small raise, and I presented my reasoning for why. The rest of the interview went well, and when I heard back from HR, I was told that my new/old boss had authorized just shy of an effective 10% pay increase from what I had earned before! I was blown away as I had hoped to receive in the neighborhood of 2-3%, so getting 10% was kind of like going to bunt in a baseball game and somehow managing to hit a home run. While I can't take too much negotiating credit (my boss was outrageously generous, by any stretch of the imagination), I've decided to share some of the issues I was thinking about when I asked for a raise. While my situation was unique, I still think there are some nuggets of truth to be gleaned. 1) I had industry knowledge - Even though I went back to school full-time in the fall of 2009, I still spent over a year working as a temporary worker for the same company (half of which was spent working in the same department in the same position for the same individual who just rehired me). The rate at which I was being paid during my two stints was equal to the rate I had been paid before I left (minus any bonus money). From this perspective, I felt my raise seemed reasonable as I had been working in the same industry, even if it was "only" as a temp, and I had been developing industry knowledge over the last two years that Joe Schmoe with a different work background wouldn't have. This was my key point in asking for a raise. 2) I had position expertise - While my employer could have hired somebody fresh, it would have been at his disadvantage to do. As I've already worked in the position (both salaried and as a temp) for over a year and a half, I have a good feel for how the position runs, what the expectations are, and whom to speak with in the company if I have questions. Joe Schmoe certainly wouldn't have had that. Along the same lines, my boss has the bonus of not losing hours of potential productivity due to a brand new person's learning curve. 3) I had the guts to ask - I'll tell you a secret: I almost didn't ask. I had gone into the interview with guns-a-blazing (in my mind), but, once in that conference room, I found myself quite timid. During a lull in the interview, my boss said something along the lines of, "Do you have any questions? Anything else you'd like to discuss? ", and I knew that it was either ask at that point, or be content with the same salary until March (which is when annual reviews are conducted)*. At that point, I squeaked out my raise request, and, fortunately, it was met immediately with a positive response. Had I not brought the issue up, it seems like I likely would have been hired anyways, but I'd still be making the same money I have been making for the last two years (although, it certainly will be nice to now get paid sick days, vacation time, and holidays). In short, I think the position I was in was particularly advantageous when I asked for the raise. Many of you reading this are almost certainly not in the same place career-wise. Still, I think the above can be useful as negotiating tips in your own annual or semi-annual reviews. Make it a point to say that you have industry knowledge that others might not have. Make it a point to say that you are the best qualified person for your position in the company. And never feel badly about asking; if you don't ask, you could be leaving money on the table. *That said, I think my wife and I already get paid an obscene amount of money. "Just" getting paid at the same rate would have been very generous in and of itself. Still, it certainly feels like the American way to want more, doesn't it? The debate over the raising of the debt ceiling has been in the news quite a bit recently, and it has come up for good reason. If the U.S. does not raise the debt ceiling, the government will be unable to take on more debt in order to fund its current financial obligations. This new debt is significant; the monthly budget deficit in February, for example, was 223 billion dollars. Now, if you’re reading this, you are likely fairly financially savvy, and you probably know that it is usually not a good idea to take on debt in order to pay off debt. This action is non-sustainable; you can only push money from one lender to another for so long. The caveat to the rule of not taking on new debt to pay for the old debt is that if you’re able to borrow at a rate lower than your old rate, then you should almost certainly take on the new debt. As an example, if you have $1,000 on a credit card that is charging 14.9% APR, and you receive a 0% balance transfer option from another credit card or lender, you should pretty definitely transfer the money. On the flip side of the coin, if you have that thousand bucks on a credit card with a low interest rate, but you find that you’re short on money that month, should you fail to make, at least, the minimum payment? No, you shouldn’t. You should always pay at least the minimum. Any why is that? Because if you don’t pay at least the minimum that you owe on a credit card, you will be subject to both late fees and having the APR on your debt raised. This is true of basicaly any and all debt a person, business, or country can take on. And yet, this is, essentially, the untenable position that politicians who refuse raise the debt ceiling are taking. If the United States defaults, or is late, on any of its current debt obligations, the credit rating of the United States will get worse. 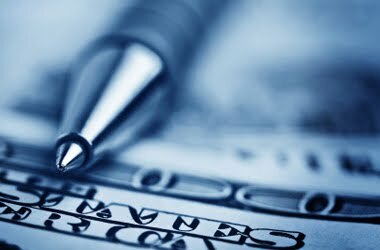 Correspondingly, the low interest rates the U.S. has been afforded will likely go up, and so the U.S will effectively be paying more money to pay off its current debts. Now, don’t get me wrong. Speaking in generalities, I lean towards the right politically (though, like many people in my generation, I don’t feel that I owe anything to any particular party), and I tend to favor small government. Also, I think much of the federal budget is due for an audit, and I think that certain social programs need to be reined in if not altogether done away with. Further $223 billion dollars is a ridiculous deficit for one month, and I firmly agree that spending needs to be cut. Even so, as it is the political right that is making a big deal out of raising the debt ceiling, I find myself at odds with my background. To me, the issue of interest rates on the national debt is really what is at stake in the current debate. Is the current level of debt that the government takes on unsustainable? Absolutely. Should spending be cut? Certainly. Should we risk having the trillions of dollars that the U.S. currently has in debt face higher interest rates because one party is attempting to make a political point? Under no circumstances. It is curious to me that those politicians who don’t want to raise the debt ceiling also are insistent on not raising taxes; it is also curious to me that these same politicians did not make a fuss any of the ten times the debt ceiling has been raised since 2001 (or the 74 times since 1962!). What those who are fighting to not raise the debt ceiling seem to fail to recognize is that should we default on parts of our national debt, the debt will only continue to rise anyway. If the debt rises today, more income is going to be needed to pay it off tomorrow. And how does the government raise income? By raising taxes. Do you think the debt ceiling should be raised? Or are you of the camp that believes that not raising the debt ceiling will send a message to government that they can’t spend so much anymore? Let me know in the comments. Buy her Stand Up Special Here! My dad used to keep his spare change in a big, glass water jug that was painted red, white, and blue, which is actually a pretty valid metaphor for the financial system in America if you think about it (full of money, easily broken, vaguely patriotic). One of his favorite expressions was (and still is) whenever my brother and I would bug him about wanting something expensive, he would reply, "Well, we better start saving our nickels." As a result, I still keep a change jar, and, every few months, I spend some time rolling the coins. Once rolled, I then generally either take them to the bank or use them at a fast food restaurant (I love to see the cashier's expression when I order a #6 and then pull out three rolls of nickels. Big Mac: $1.99; medium fries: $1.49; uncomprehending stare of a sixteen year old: priceless). For me, it's important to spend the time counting and rolling the coins myself. Sure, I could take them to a Coinstar machine, but them I'm paying them a percentage. While I value my time, I also don't like to throw money away if it's unnecessary. Still, I understand that other people look down on change jars. Comedian Whitney Cummings even had a joke in her Comedy Central stand up special concerning what the deal is with guys having change jars (Is it their savings account?). Others prefer just to spend the change as they receive it, thereby eliminating the clutter that a change collection can bring. What do you think? Do you save your change in a special place? I'm proud to be featured in this week's Carnival of Personal Finance where my post titled Three Personal Finance Lessons from the Dodgers' Bankruptcy Debacle was an editor's pick over at Bucksome Boomer. I was included with many other thoughtful articles. Take a look when you have have a chance. 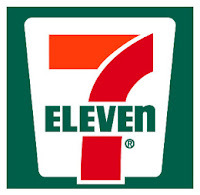 If you didn't know, every year, 7/11 stores around the country offer a free 7.11 ounce Slurpee to anyone who comes into their shops on 7/11. That's today! This is a tradition that I love every year. It's time to head out and get some of that sweet, sweet Slurpee goodness. Here are some helpful articles that have caught my attention over the past week. Enjoy! Might Bargain Hunter wrote about taking advantage of financial loopholes (before they get closed down). 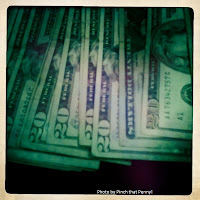 Squirrelers makes the case for putting more money in your emergency fund. Walletpop describes how to simplify your summer finances. Flexo at Consumerism Commentary questioned whether some students should be discouraged from attending college. Couple Money listed which government cutbacks will likely affect you. I love reading, and, as a direct result, I have something of a love affair with books that goes beyond merely reading. I love holding them, touching them, smelling a newly opened book, and, more than anything, I love having them around. As a result, I have developed something of an extensive library (particularly scripts and books about theatre and drama). If you have been bitten by the book bug (book worm?) as well, then you know that developing a library and/or being surrounded by books can be an expensive past time. However, being a book lover doesn't have to cost a fortune (or cost all the available shelf space in your house). Here are some ways that I've managed to cut down on my own book costs. 1) Develop a book-buying philosophy - In my younger and more vulnerable years, I purchased nearly every book that I wanted to read, which I found left me quite short in the pocketbook. Wanting to be able to save more money and not overflow my condo with books, I have recently more or less decided that I only really need to purchase books if I'm going to need or use them as a reference. As I have been working towards, and recently completed, my M.A. in Drama, most of those reference works have been plays or other books on the theatre. In general, I now only purchase books of this type. 2) The library - Yes, I know this one is the most obvious place to get books on the cheap, but it bears repeating. For a long time, I had a difficult time wanting to get books from the library because I wanted to be able to read them at my leisure, and the three week check-out time (plus an additional three weeks for a one-time renewal) was totally harshing my book-loving buzz, man! Those fascists! Nevertheless, after moving a couple of times in the last few years, I couldn't help thinking that maybe I didn't need so many heavy boxes of books to cart around anymore, particularly for those books that I might only read one time. For example, Tina Fey has written a deeply hilarious book in Bossypants, but after reading it once, will I really need to have it on hand in perpetuity? Probably not. 3) Other free books - Outside of my local public library, there are a couple boxes of free books that people can take home. While these boxes are usually filled with books that no rational person could possibly want nowadays (anyone up for a copy of the Dummies Guide to Windows 95? Anyone? Anyone? Bueller? ), I have found some choice picks in the past. For example, the other day I looked through the box and found an anthology of plays which included some that I haven't read but that I had been meaning to. There are also some free books on Craigslist if you look under the "free" section, but these are generally not the sorts of books one might want to read (similar to the free boxes at the library). 4) Commercial websites - There is, of course, also a book buying section on Craigslist, which can have some good deals. I recently purchased the beautiful, hard cover, three volume Calvin and Hobbes collection that I've had my eye on for several years after I found a seller on Craigslist who was looking to get rid of it for $25 (which is an absolute steal, especially when you consider that it still goes for around $100 used on Ebay). While I'm on the topic of Ebay, Amazon.com is kind of the obvious choice for books with nearly everything it has in stock having deep discounts off of the cover price, but sometimes Ebay has still manages to have better prices (particularly for used books). I have found that it pays to check both sites. The downside to buying online is that you generally have to pay for shipping; however, if you are a student, you can sign up for Amazon Prime, which offers free two-day shipping. I signed up as a student, and they haven't kicked me out yet, so I still take advantage of that offer from time to time. 5) Non-commercial websites - If the book you're looking for is an older title, then you should be able to find it for free at sites like Project Gutenberg. Project Gutenberg compiles etexts of books that have fallen into the public domain. Further, you can download the files, and you should be able to upload them onto your ereader (such as a nook or a kindle) if you have one. 6) Used book stores - These are some of my favorite establishments on earth. I really enjoy lingering for an hour or more at a quality used book store with a good collection. If you live in a city that has a university, it may be worthwhile to see if they have a friends of the library book sale room on campus. San Francisco State, for example, has one where all of the softcover books are a dollar and all of the hardcover books are two dollars. While the selection is limited, you can't beat those prices with a stick. 7) New book stores - These stores, like Borders or Barnes and Noble, are usually my last option. Still, Borders has a program that frequently sends out coupons through email that give you 20 to 40 or 50% off the cover price of a book. If you are the sort of person who likes browsing in a bookstore, than it's certainly worthwhile to sign up for the free coupons. As an FYI, for what it's worth, Barnes and Noble tends to be stingier with their coupons. I very seldomly see online coupons for Barnes and Noble, and when I do see them, they are usually only for 10% off. 8) Ereaders - Sure, there is the start up cost of actually buying an ereader (which are still going for better than a hundred bucks for a brand new one), but generally, the books that you are able to purchase for your ereader are going to be less expensive than physical copies of the books. This isn't always the case, however. As a point of reference, I own a Nook from Barnes and Noble, and nearly all of the titles are $9.99. Those are my ideas of saving money on books. 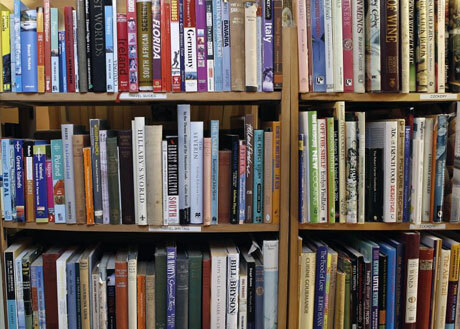 To all of you readers out there, how do you save money on books? Yesterday was my wife and I's third anniversary. This seems to be a recurring theme among those looking back on periods in their lives, but it is very true for me as well that those days, weeks, months, and years have just flown by. On a not-immediately-obviously-related note, in Thornton Wilder's play Our Town, one of the main characters passes away between the second and third acts. As she sits among a group of ghosts and looks upon those who have come to her funeral, the idea that the living don't realize how wonderful and amazing life is occurs to her. Only from her vantage point of being beyond the grave does she truly realize how much she has missed, both in terms of opportunities and in terms of details that didn't seem important at the time. So, I guess a combination of me recently seeing that play and the occasion of my anniversary have put me in something of a thoughtful mood. If life flies by, what marks am I leaving? To paraphrase a quote that I heard frequently as I went to a Christian school as a boy, how exactly am I redeeming my time? Those questions are what prompted this list. Many people make new year's resolutions, but I have not really seen mid-year resolutions. Some of these are directly in regards to money, while others are more indirectly related, but I think all of them affect my financial situation. 1) Losing weight: if life is short, than I ought not do things that will hasten its end. I carry a significant amount more weight than I should. My concrete goal is to lose thirty pounds by December 31. 2) Writing a play: one of my goals in life is to have another play that I've written professionally produced. My first play met with some success last year, and I am tremendously thankful for that experience. That taste of success, however, has whetted my appetite for more. One promising opportunity is a playwriting contest that is run through UC Santa Barbara. The contest's deadline is December 1, and my concrete goal is to have a play submitted. 3) Fully funding my Roth. This should be a relatively easy goal as I will be unable to put money into a 401(k) for the rest of the year (so contributing should not be too much of a hardship). The company that I am starting my new job with doesn't allow employees to join the 401(k) program until the employees have worked for the company for six months. While that is disappointing news, once I have reached the six month mark, my company fully matches, dollar for dollar, all contributions up to the federal limit. So, my goal for next year will be to also fund my 401(k) fully, but for this year, it's just a matter of finishing off my Roth IRA. I'm better than halfway there already. 4) Start paying back a personal loan. A few years ago, a family member loaned me some money, interest free, in order to pay off some credit card debt. There were no strings attached, and that family member has even said that I don't need to pay the money back, but I still feel that it is important to do so. 5) Applying to a Ph.D. program. I still have some research to do, but I'm planning on applying to at least the Ph.D. program at the UC close to where I live. I believe that I would be able to do the classwork part time, while simultaneously continuing my day job. Earning a Ph.D. is something that is important to me, and, even if I'm not accepted, at least I won't be not going to school because I didn't try. Looking back on the list, I've realized that those are five very high-minded goals. Now I've got them listed, however, and now that I know the finish line, I just need to plot how I'll get there. I'll redeem my time yet. I hope everyone who reads this has a wonderful 4th of July holiday. The mrs. and I will soon be off to a barbecue with a friend's family, followed by watching the night sky erupt with streams of light. 1) I raided an old 401k to pay off some debt (which, I know, is frowned upon in personal finance circles. In one sense, I do regret it, but in another sense, I can't help but be pleased that I pulled it out in early/mid 2008 before the economy fell in the toilet*). 2) I have been working temp jobs for the better part of two years while I was in grad school. Overall, I am fairly pleased; I'm only 29, and I have a sneaking suspicion that even with the amount I already have, I'm still in a lot better place than a lot of my peers. I've been forcefully putting money into my Roth since I opened it in April, and I'm already better than halfway to the limit for 2011. Further, the market over the last couple of days has really helped. Some of my individual investments in the Roth have grown 3-4% in the last few days alone (the fact that this is just bringing them back close to what I paid for them is a fact that tempers my enthusiasm). My old 401k is an account that I just remembered that I had as I was talking to the company's HR person. On my to-do list in the coming month(s) is to fill out the paperwork to roll that money over into an IRA (probably through ING Direct, through whom I opened my Roth). The new 401k that I have isn't great as there is no employer match. Still, I wanted to put some money into to try to make up for some lost time over the last couple of years. This 401k is through the temp agency I have been working through for the last several months (though I only started contributing in May). The good news for me is that I am set to be hired on by the company that the temp agency assignment has had me working for, and their 401k plan is amazing (it's a 100% match up to the federal limit). The only problem with my soon-to-be-employer is that I am ineligible for their 401k until I have been with the company for 6 months, so I won't be able to get that amazing benefit until 2012. I will probably add more to this month-end review as time goes on, but this is a good starting point, I think. How are you doing for retirement? *Yes, I am aware that nearly all investments have recovered to pre-Great Recession levels, but still, I remain pleased by the coincidence (it was through no sheer intellect on my part that I knew the market was going to tumble and so I pulled out; it was just dumb luck). **I am pretty positive that I have ~$5,000 in a rollover account. I will update that portion next month when I get my quarterly statement. I will also, at that time, figure out how to monitor that account on line.